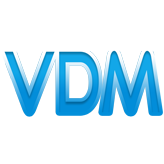 All you need to really do, is Fork/Watch/Star any of the VDM repositories (see below) to get the free Package key for that Component. Really it is that simple! Once a week we will send out the keys to all those who have public emails on github, and have forked/watched/starred any of the above repos. Please be kind enough to not give your key to other, we are giving away so much here, and in return all we ask is that you also support our work. So just tell your friends to fork/watch/star any of the above repos, and they too can also share in the joy! Those who do not have public email details on github, you can claim your key here.